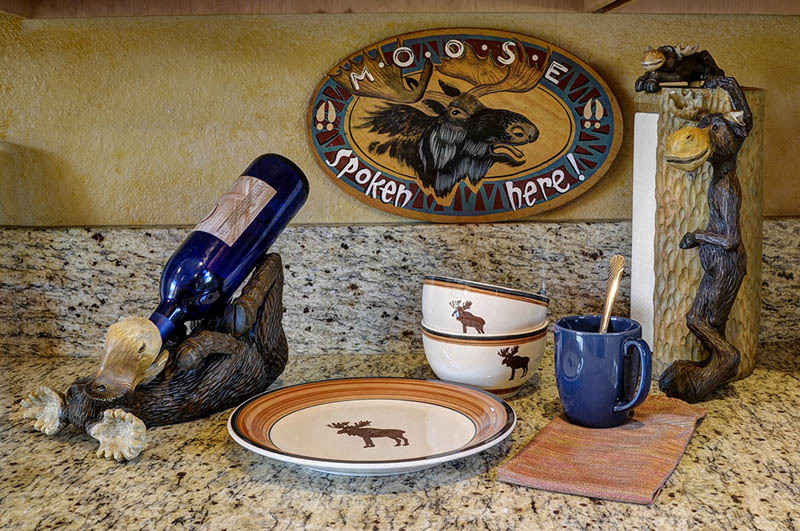 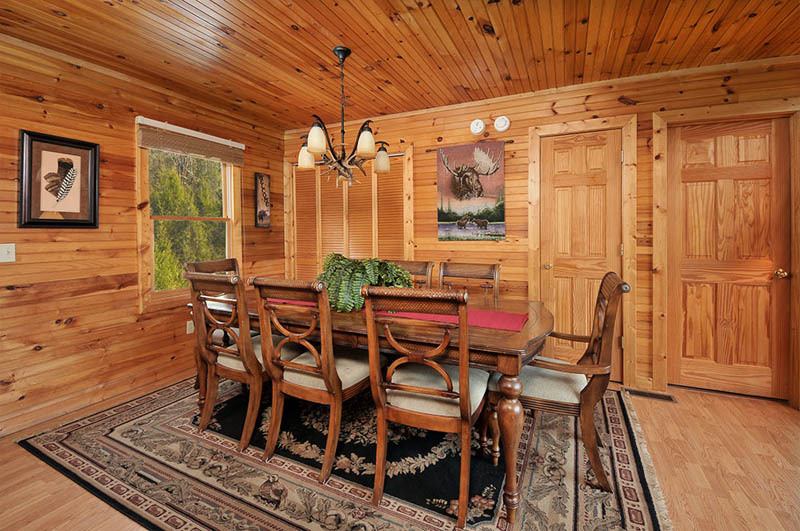 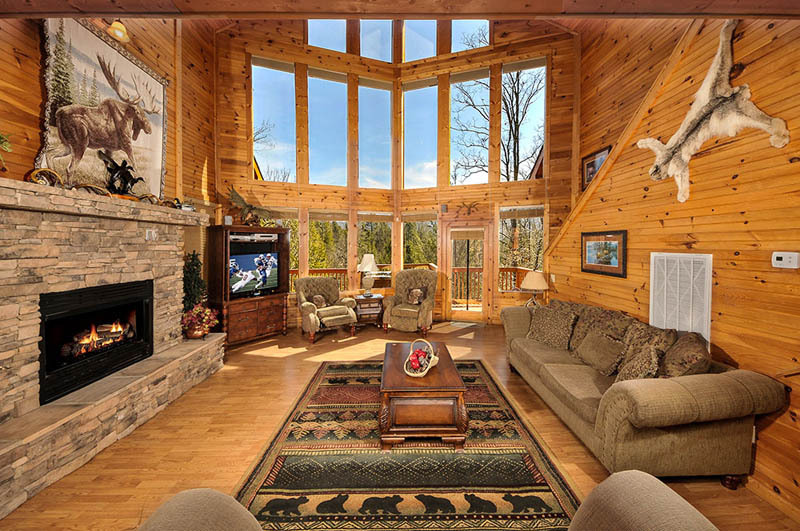 "The Moose Is Loose" Cabin is a spacious and beautifully decorated 4 bedroom cabin, with magnificent mountain views and Wireless Internet. 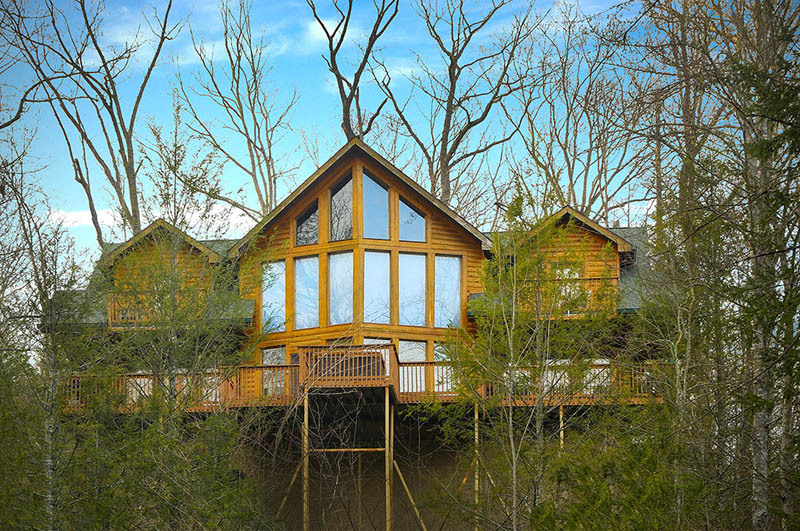 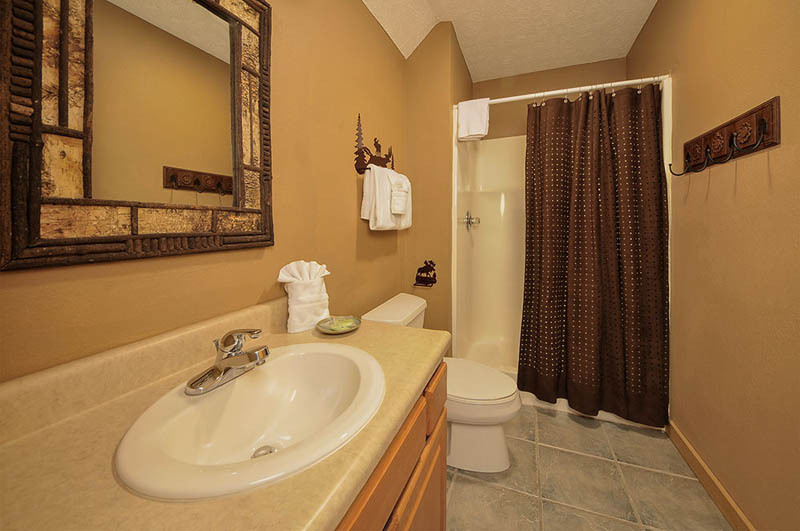 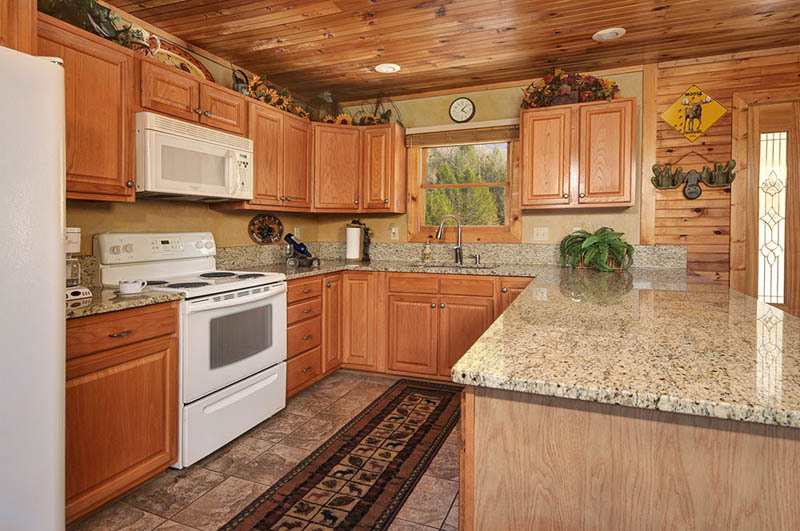 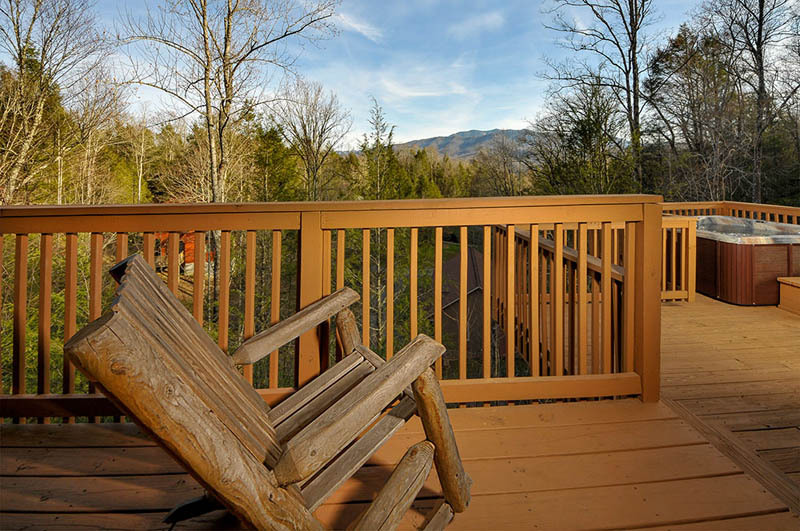 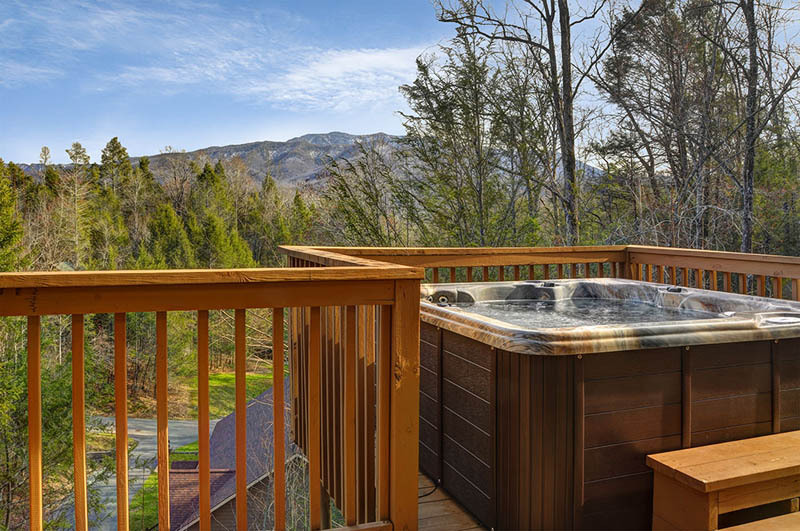 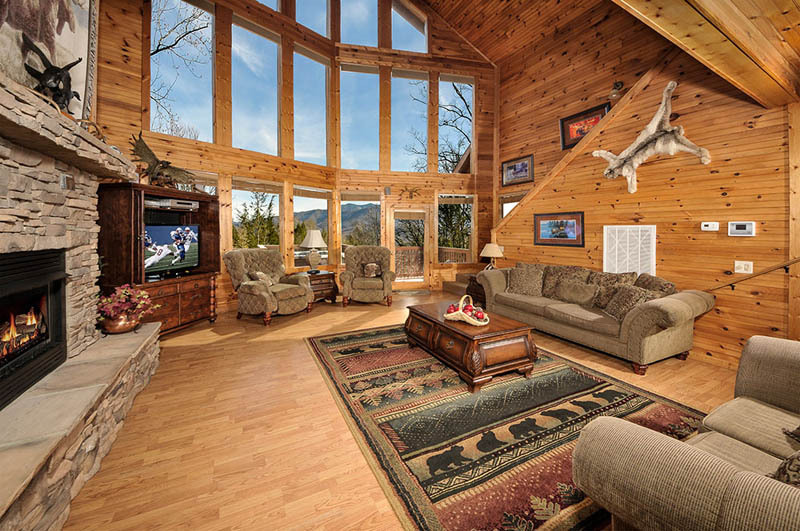 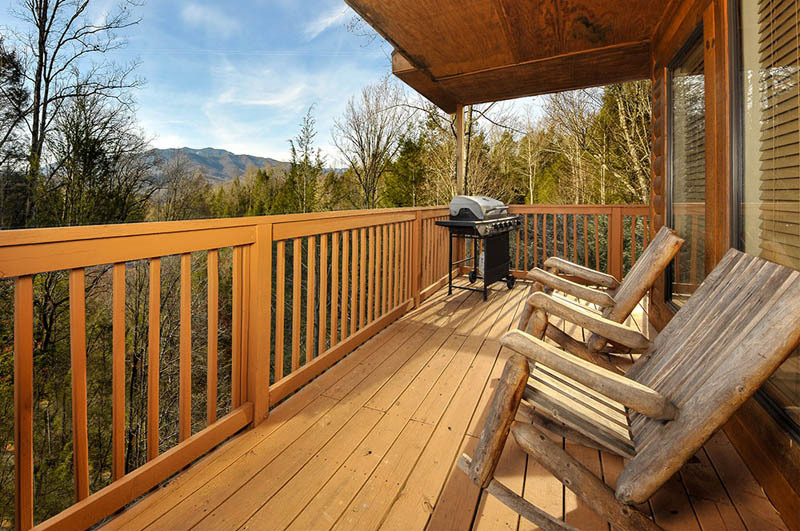 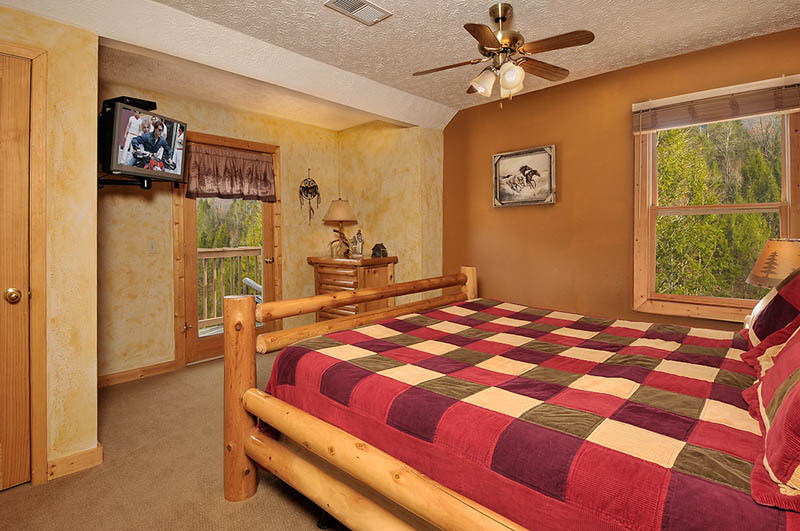 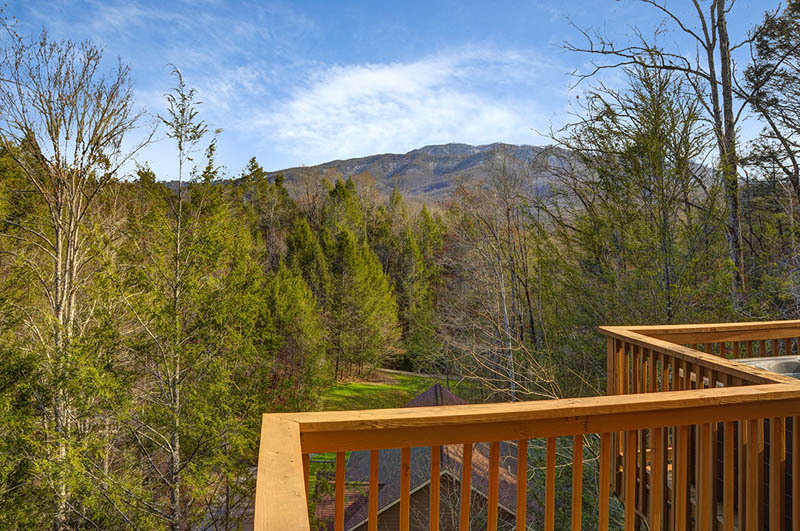 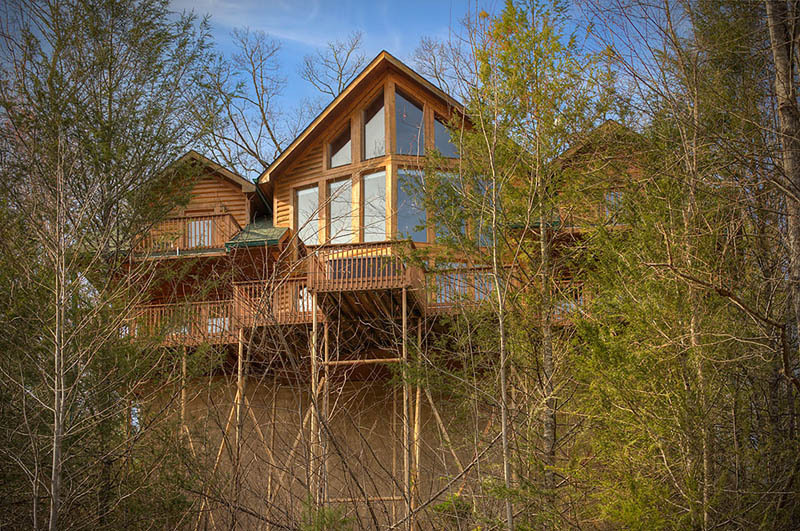 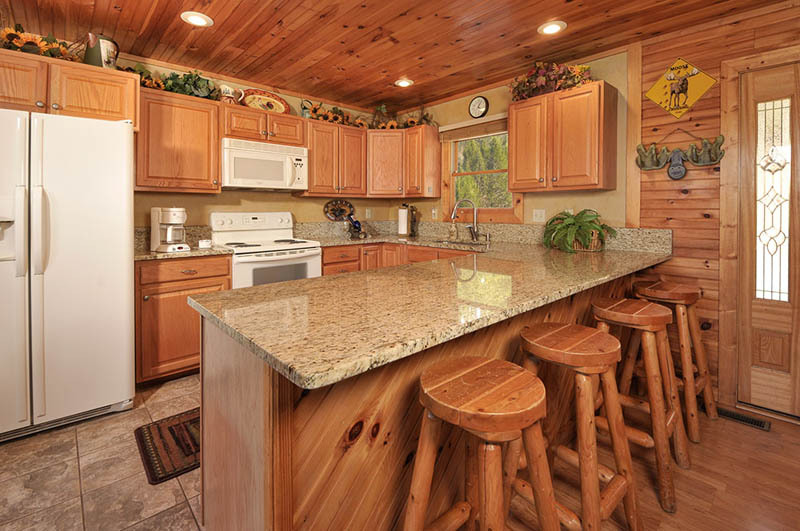 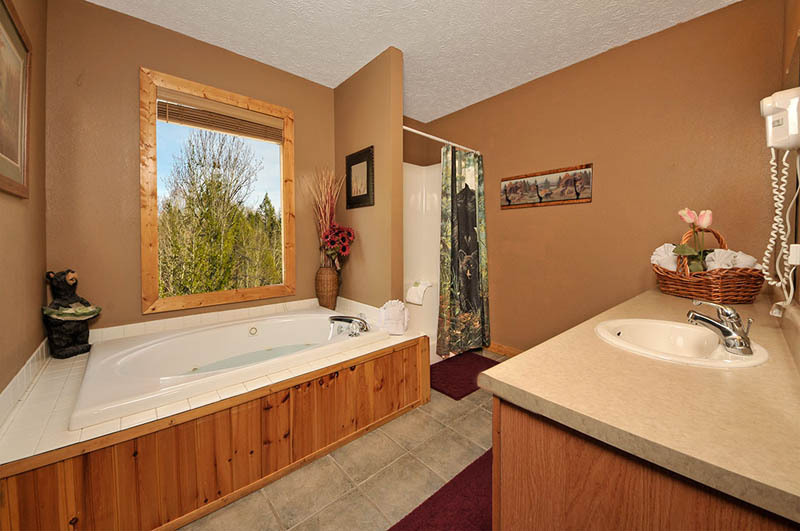 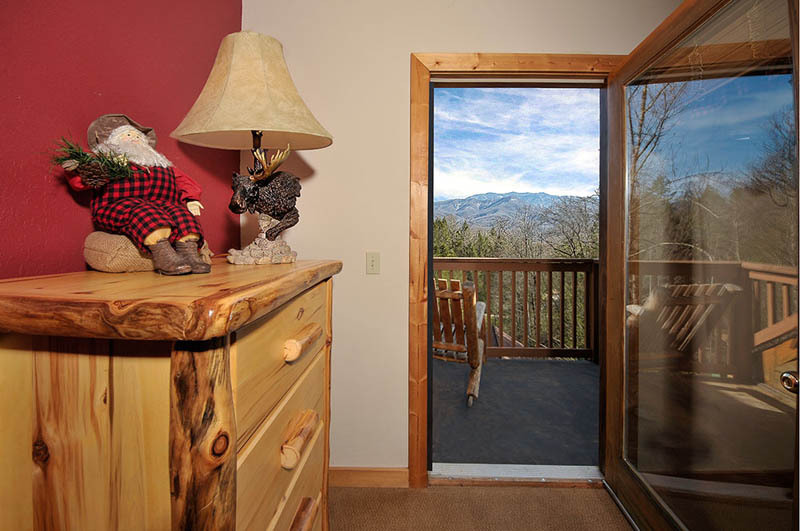 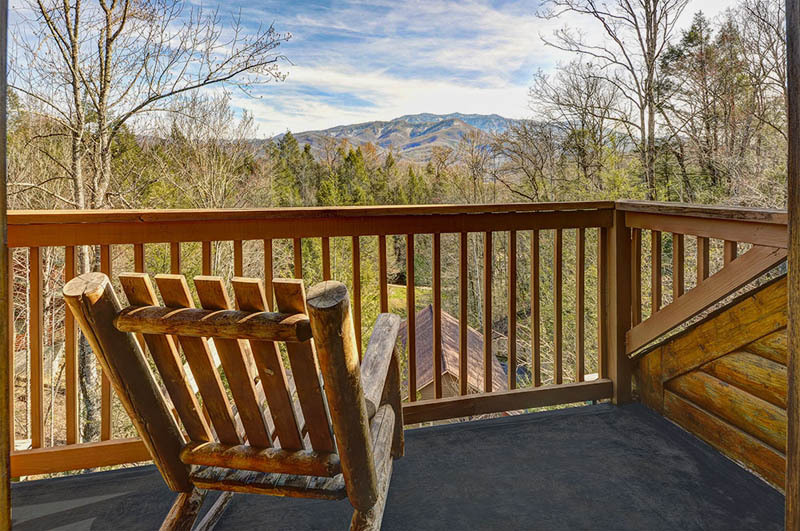 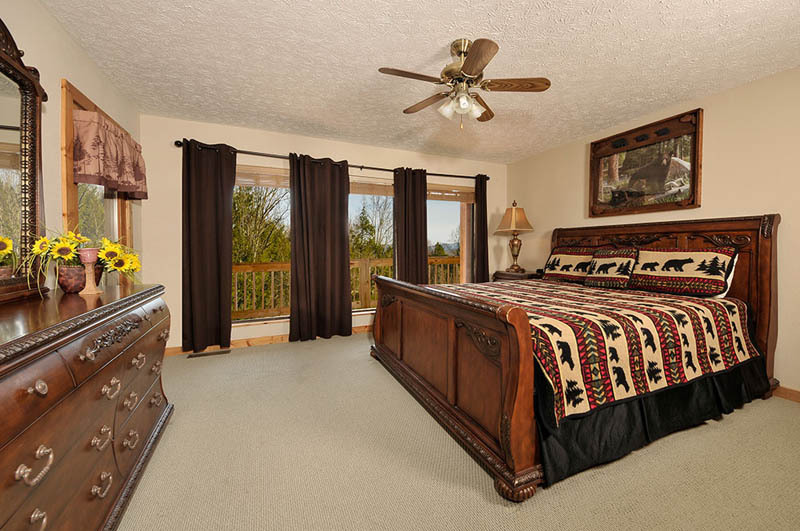 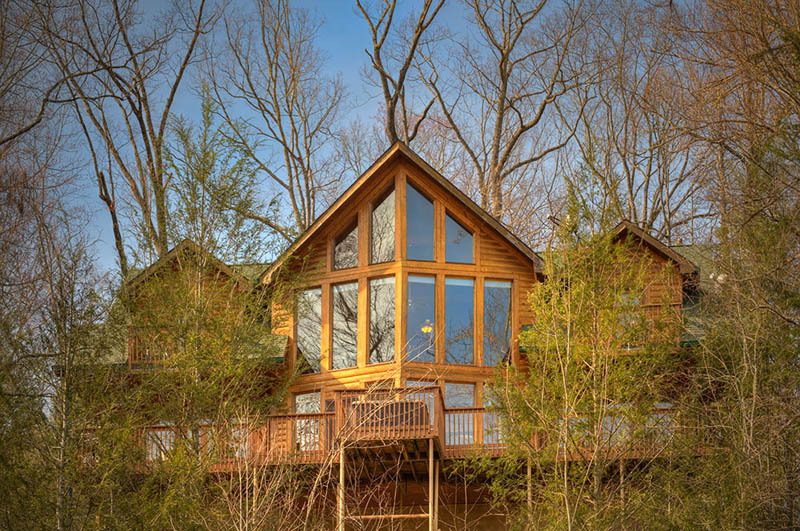 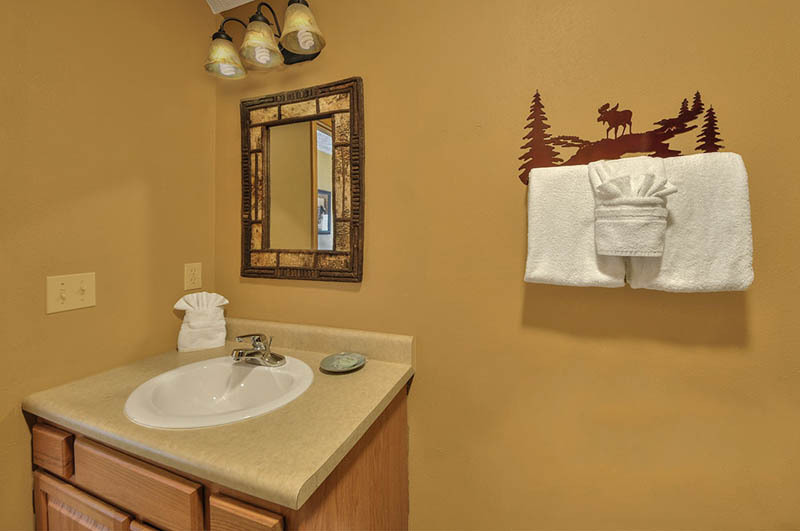 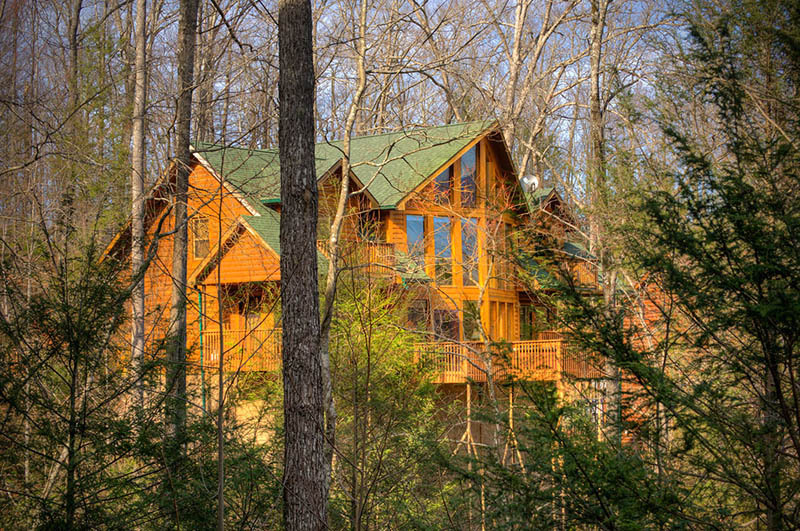 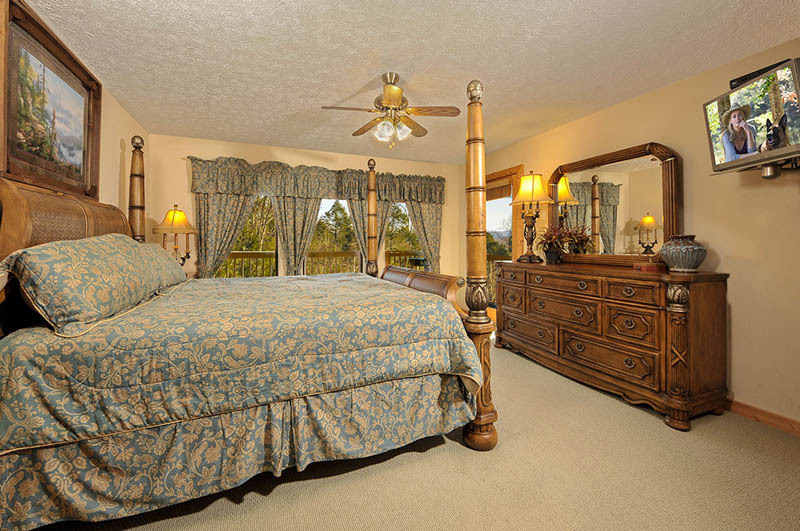 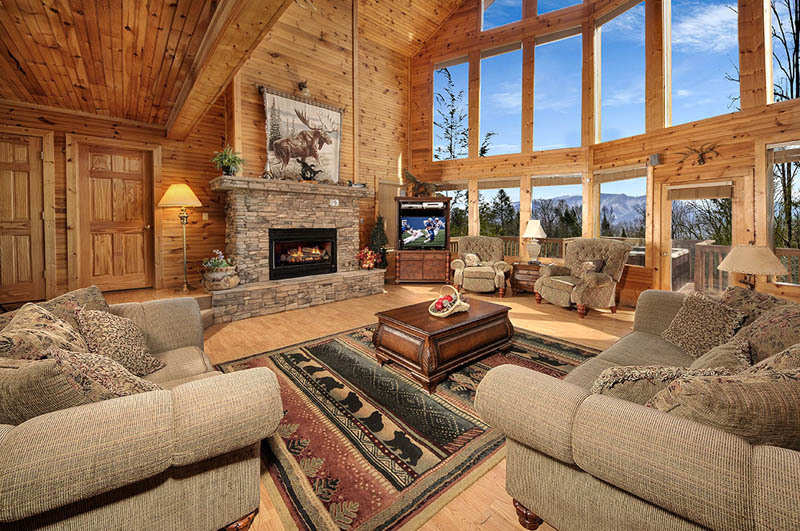 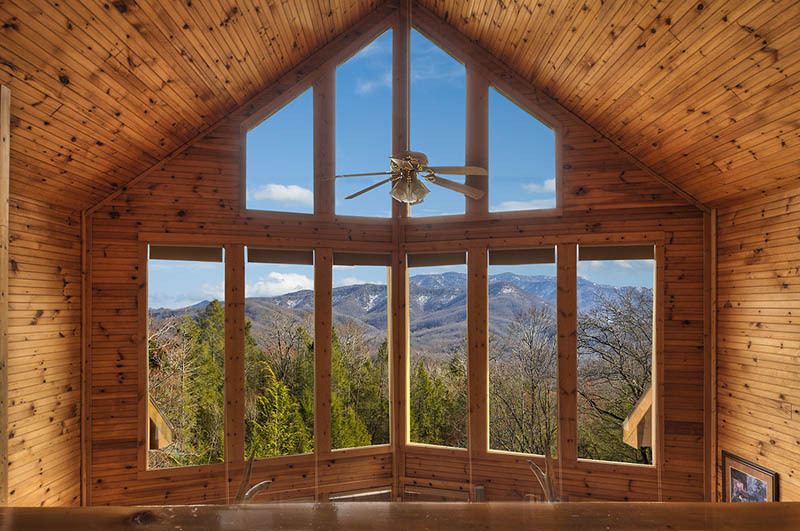 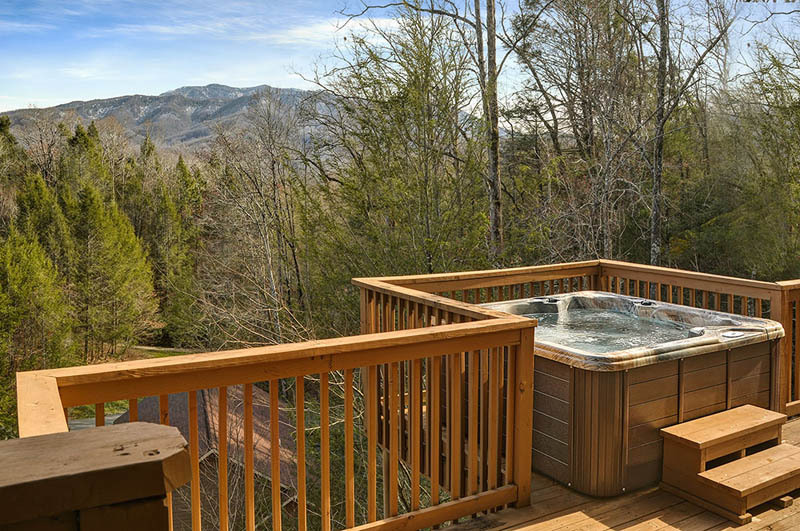 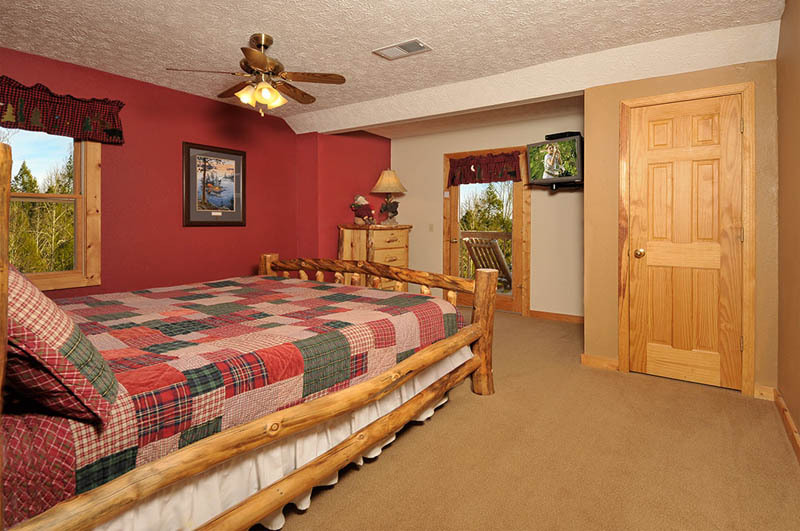 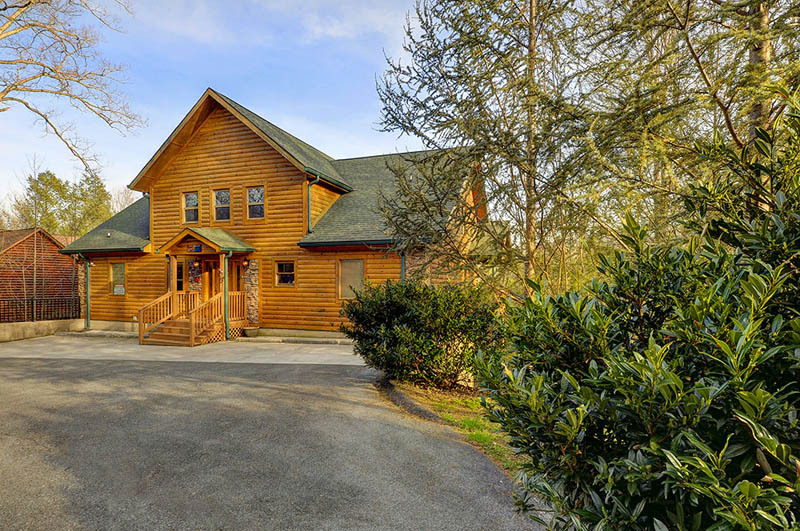 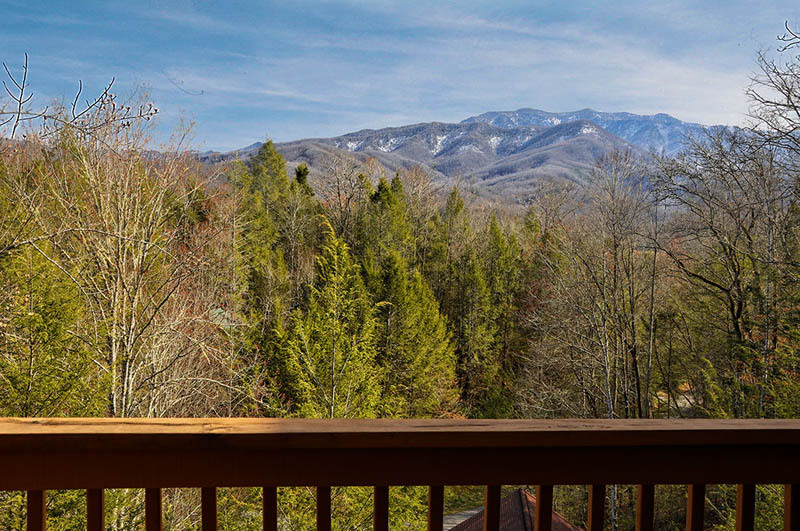 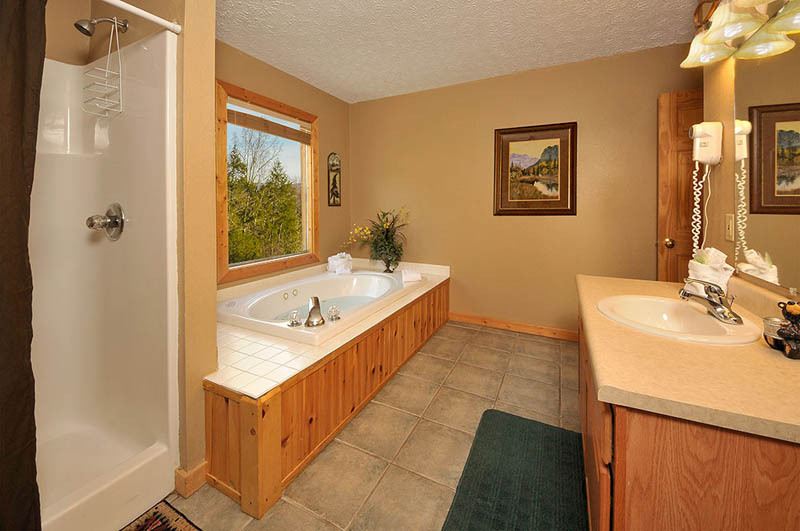 Located in Gatlinburg, Tennessee, you have 4 bedrooms, each of them with their own bathroom and their own balcony/deck, 2 Jacuzzis, 1 Hot Tub out on the Main Deck looking onto the mountain view. 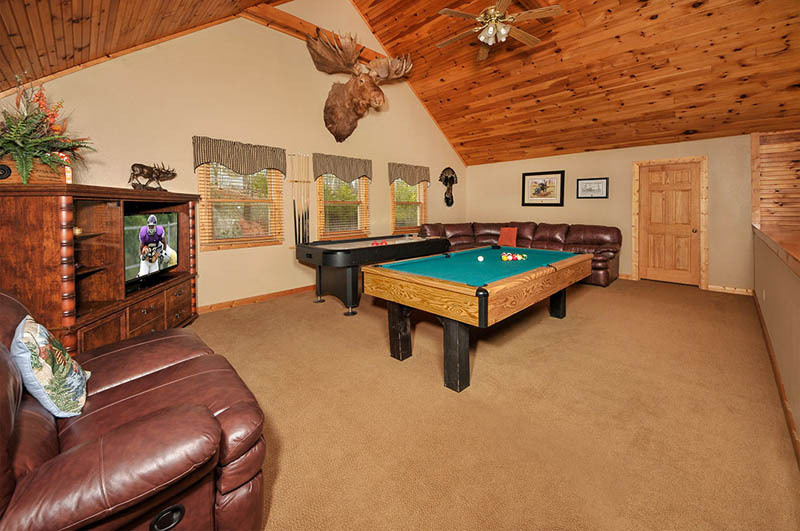 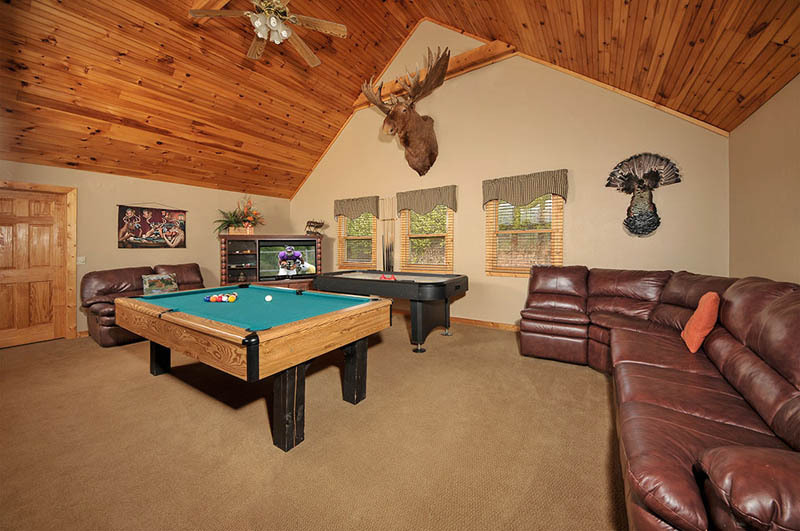 You just have to see the Alaskan Moose located in the Game Room, it is Magnificent! 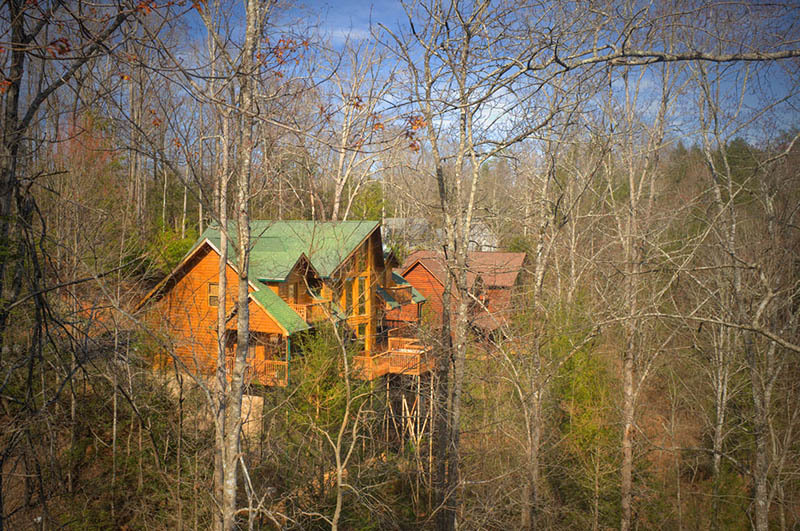 Nice paved roads all the way to the cabin with big flat parking area. 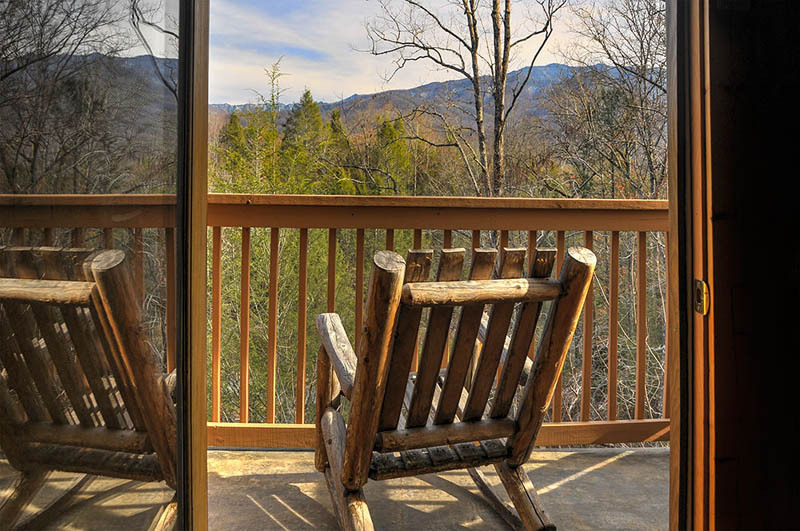 The Gatlinburg recreation center is located very convenient to the cabin, as is the Trolley Route.